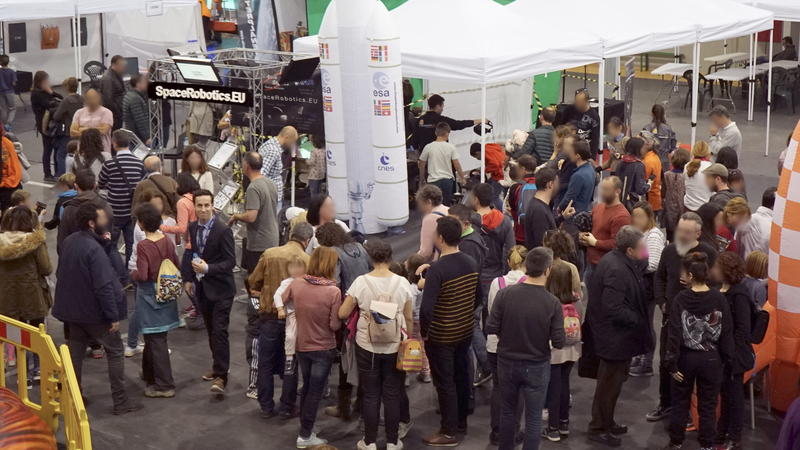 SpaceRobotics goes all-in at ExpoAstronómica 2019. ExpoAstronómica is an astronomy fair organized yearly in Guadalajara (Spain) by the Yebes Townhall and the astronomy classroom AstroYebes. 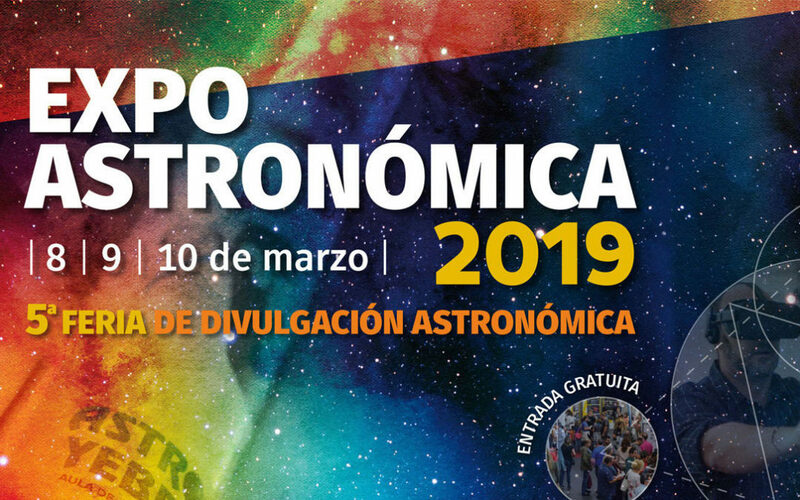 It’s the only committed-to-the-dissemination-of-astronomical-knowledge fair in Spain which is addressed both to astronomy amateurs and a familiar public. Each year, ExpoAstronómica offers a wider variety of workshops, conferences and experiences for its public to enjoy; and this year, in their fifth edition, they have gone overboard taking in over four thousand astronomy fans which enjoyed over two dozen stands, five exhibitions, three round-table talks, eight conferences and nine workshops. Every year since ExpoAstronómica’s first edition, SpaceRobotics has been there, and every year we go one step further offering new experiences and presenting innovation projects to the public. As was to be expected bearing in mind our track record, this year, at Expoastronómica 2019, we went all-in. During three days, we offered non-stop a 500-square-meters space-technology-themed area where the attendees of the fair spent most of the time. Among the activities and experiences present at our space, we included “Astronaut LiLi’s Show”, a science spectacle for kids that has been a success during six years in a row; “Train as an Astronaut“, another triumphal activity of our education project “Interplanetary Journey“; and the brand new workshops “Build your own Satellite” and “Build a Saturn V“. For older space fans, we presented at our stands the first public (free) beta of two new SpaceRobotics virtual reality experiences “Apollo 11 VR” and “Apollo 17 VR“. Moreover, we built a 3D-printed space-related scaled models exhibition, an ExoMars2020 Stand, and many, many more things. Besides all the experiences and workshops stands, we also had an information one where anyone could ask about the services that are offered at SpaceRobotics: Multimedia Creation, Scaled Models, Science Software, Virtual Reality or Space Industry Orders. If you still have questions for us or you could manage to get to us during the fair, feel free to contact us and we will respond as soon as possible.